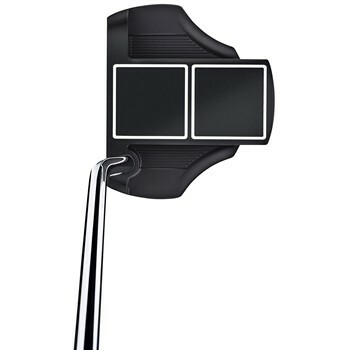 • Two parallel lines extend from the center of the face to frame the ball perfectly down the line, and two perpendicular lines offer instant feedback when the putter is mis-aligned at address. • Copolymer face insert enhances feel and sound at impact and promotes a consistent roll for more predictable distance control. • Advanced head design maximizes Moment of Inertia for minimal distance loss on off-center hits. • Available in Heel and Center shafted versions.